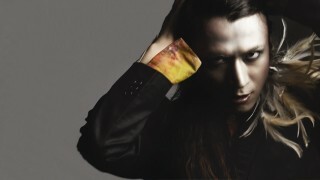 tezya’s music is influenced by Glam Rock, New Wave, and 80’s Rock, and started his music career. He used to play with Grace ModE, Euphoria,FiX, ATOMIC ZaZa and MeGAROPA but he now performs as a solo vocalist. He’s spreading his music to the audience in Japan with constant live concerts and has impressed them with his charismatic singing voice.